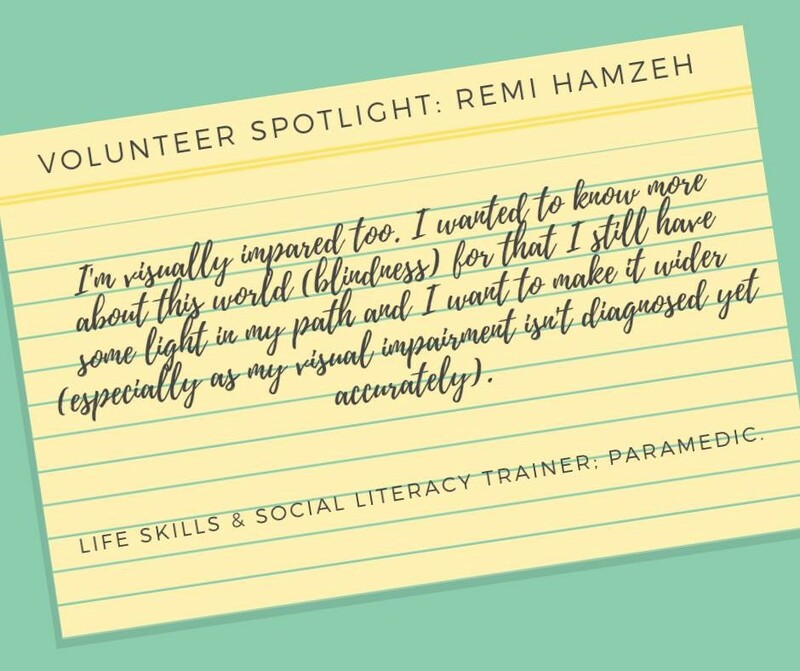 Remi Hamzeh, who volunteers as a life skills trainer, social literacy trainer, and paramedic, is our Volunteer Spotlight! Outside of ETI, she is a clinical pathologist/psychologist. How did you learn about ETI? Our doctor at uni, Dr. Chartouni, told us about it as a chance to have an internship. Then, the country director Anna Barbosa told us more about it. It was a chance for me to discover something new. I'm already volunteering with special abilities since childhood but I haven't worked with blind kids before separately. What has surprised you most about working with ETI? How real it is and how close you'd become while working with these kids, especially in the home visits. As well as the observation and the new things you'd see and analyze then. What have you learned by volunteering with ETI? That the correct terminology is Persons with Disabilities and every need they have they improve an ability that makes them unique their own way. And that anyone can make something, we (humans) just need to support each other. That if we were the ones we needed when we were kids...everything will change around the globe. What is the most memorable accomplishment of your volunteer experience? Making one of our participants fight for her dreams and keep going with her (hard conditions in university) although everyone else was telling her to quit. That I'm visually impaired too, and I wanted to know more about this world (blindness) for that I still have some light in my path and I want to make it wider - (especially that my visual impairment isn't diagnosed yet accurately). What do you do when you aren't volunteering for ETI? Volunteer with other organizations, work, and study (finishing my thesis). I developed an automated system that trades stocks, and the "automated" part frees me up for my great love of travel and volunteering with groups like ETI. I "caught myself" having preconceived notions about what being visually impaired was all about, and needed to readjust when I got to know some of these folks. My picture of blindness didn't match with reality, and I am improved as a person having learned the real deal. This is the whole point of ETI: overturning misconceptions and "opening eyes". I have come to fully appreciate the capabilities and extraordinary gifts possessed by the folks that ETI serves. I've been honored to travel to Lebanon as a volunteer and immerse in a new culture and way of life. My biggest takeaway is never-never-never assume about someone you don't know because of a label - in this case the label called "blind". Get to know them first and they will invariably teach you something big and new. 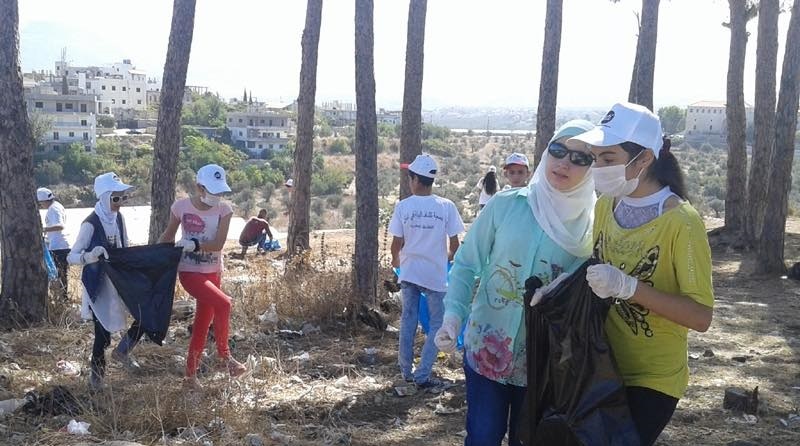 Twice serving at the annual Life Skills Camp in Beirut. I mostly worked in the science room helping construct neato experiments, and saw the kids have that "AHA" moment where they built something with their own hands, learned the science behind it, and observed the result - a bubbling volcano, or a compass that points North every time, or a record player that actually plays the sounds. I envision them going home aware of a bigger world than they knew coming in. I volunteer with some other groups and travel to places like Cambodia and Kenya doing similar work. For hobbies - amateur astronomer, pretend race car driver, baseball nut, exploring new places, and learning, always learning. In the picture: a male Life Skill Program participant learns to use a white cane at the University of Balamand while walking with a female guide. Rasha is an 18-year-old who been visually impaired since birth. 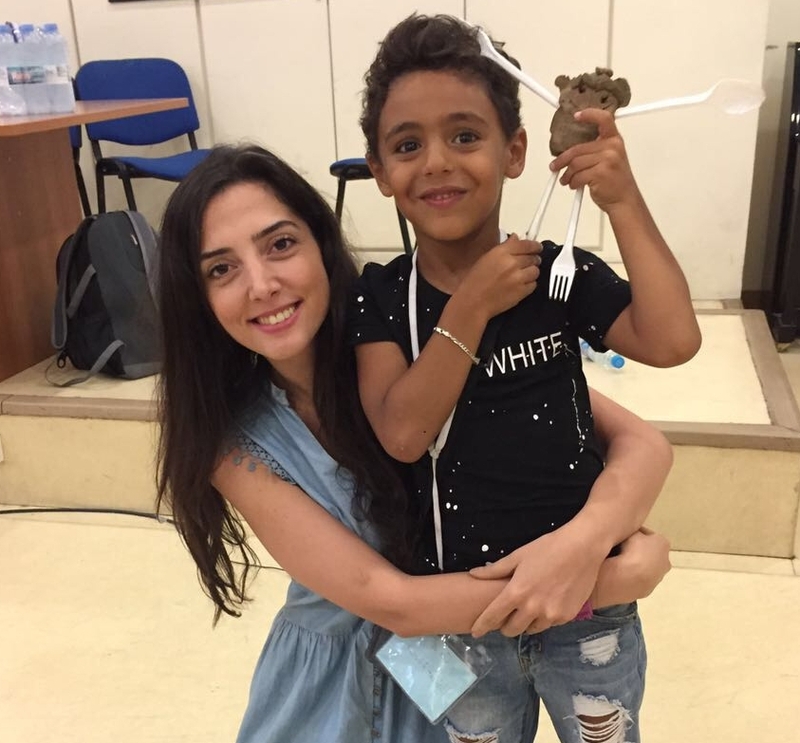 She lives in Beirut, close to Rafic Hariri Stadium, with her family, which includes two other siblings who are visually-impaired and currently enrolled in ETI’s programs. Becoming independent is essential for many of these young people to gain confidence and to lead more fulfilling lives. However, a challenge to full independence for many people with disabilities across the globe is that the environment in which they live is not fully accessible. Included in the many obstacles to full accessibility these countries face is an educational infrastructure that does not always offer opportunities to learn basic life skills. It’s not that these kids don’t have the potential to learn life skills—they most certainly do—it’s just that they haven’t yet been presented with the opportunity. That’s where ETI steps in. And many of ETI’s participants have already become more engaged over the past two weeks. They have built trust with their trainers and teachers, and have come out of their shells. In the picture: a female participant (right) laughs alongside a male participant (left). These stories are common during our programs, and they are what we expect. Everyone is nervous trying something new for the first time, but with encouragement, and confidence on the part of ETI’s volunteers and staff, our young participants gradually realize that they can try new things—and that they can succeed at them. Of course parents and other community members who don’t have much experience interacting with people with disabilities would wonder how to “deal” with them. However, one of the narratives we are trying to change is approaching the subject of people with disabilities. “When we say, ‘this group of people,’ and designate a group separately from everyone else, we continue to stigmatize, and to isolate people into groups,” says Sara. By integrating the youth with visual impairment with sighted youth, and by offering the Parent Workshops, we also acknowledge a truth about changing the norm: that it takes everyone—including program participants, parents, family members, and volunteers—to make this happen. 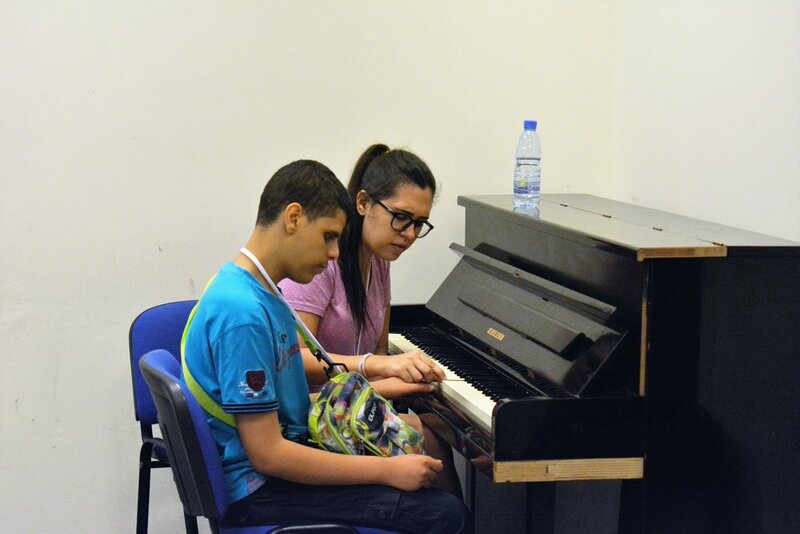 As mentioned above, ETI holds monthly Parent Workshops, which are also meant to transform the mindset of parents in Lebanon about the potential of people with disabilities to contribute to society as a whole. Parent Workshops seek to create a safe space for dialogue among parents of children with visual impairment and to promote discussions about the social and cultural challenges associated with being blind or having a blind family member. Volunteers are trained to facilitate dialogue among parents that focuses on the identification of possible misconceptions about blindness, to co-construct empowerment and integration strategies with parents to better support families and children with visual impairment during and after the Life Skill Program and Camp Rafiqi, and to increase access and exposure to empowerment and integration resources for parents and their families. Bringing the message of empowerment beyond the Life Skill Program and Camp Rafiqi allows the it to grow beyond the youth participants in ETI’s programs. A child learning life skills for the first time cannot continue to develop his or her skills without the support of his or her family members, and this goal of continuous growth starts with the parents. In addition, parents of children without visual impairment partake in the Parent Workshop to bring the message of inclusion to their communities as well. In the picture: a Life Skill Program participant feels the tip of a white cane. During volunteer training, volunteers learn how to, among other interpersonal skills, conduct discussion sessions, ask the right questions, and handle sensitive moments. Topics covered that pertain specifically to the Life Skill Program include learning about eye diseases and visual impairment, running simulations with goggles, learning Orientation & Mobility (O&M), and using the cane. Many of these volunteers have never encountered such topics, and report that they have gained a perspective on inclusiveness by working with ETI. ETI’s programs are essential in instilling the power of confidence in youth with visual impairment, but it takes all of us to make sure that this idea sticks. The youth practicing their newly-developed skills will not continue to improve if they are no longer enmeshed in an inclusive, encouraging environment. It is also important to reinforce the fact that the inclusion of people with disabilities benefit all of society—because when everyone can participate, everyone can contribute their own passion, talent, and ideas. “In the future, I what to share everything I’ve learned with other people who have visual impairment as well,” says Rasha. We look forward to the day that she does. In the picture: three Life Skill Program participants—a girl and two boys—sit at desks during an activity.